Refractory Brick is made of multiple aggregates and compound powder granular materials of one kind or multiple adhesive. When using these raw materials, add one kind or multiple liquid to mix well, which has stronger fluidity. Different refractory brick has different raw materials, such as sliicon-alumininm, fireclay and so on. Refractory bricks can be classified into five types of Silicon aluminum refractory brick, Alkaline series refractory brick, Carbon brick, Zirconic refractory brick and Insulating fire brick according to the different component. Furnace or kiln is built with many different kinds of refractory bricks. Silica Bricks, a kind of main acid refractory brick, is made of over 93% SiO2 content and mainly used to build coke oven, and also is used for all kinds of glass furnace, ceramic, carbon calcinations furnace, vault and other bearing position of refractory bricks thermal furnaces and high temperature bearing position of hot blast stove. But it is not suitable used in the thermal equipment with the temperature of lower than 600 ℃ and high thermal shock. Fireclay Bricks is made of mullite (25~50%), glass phase (25~60%) and cristobalite and quartz (reachable 30%). It generally adopts hard clay as the raw material through burning in advance and matched with soft clay and is molded by semidry method or plastic method under the temperature of 1300~1400℃. Fireclay also can be made to be unburned products and unshaped refractory by adding a small quantity of binding agent of sodium silicate and cement. Fireclay brick is often used in blast furnace, hot blast stove, heating furnace, power boiler, lime kiln, rotary kiln, ceramic kiln and refractory bricks calcining kiln. High alumina bricks are made of corundum, mullite and glass phase as the mineral composition. The content of corundum, mullite and glass phase depends on Al2O3/SiO2 proportion and the varieties and numbers of impurities. High alumina bricks can be graded according to the Al2O3 content. Its raw materials include high alumina bauxite and natural ore of sillimanite, and also added fused corundum, sintered alumina and compound mullite, and the chamotte fired with aluminium oxide and clay according to different proportion. It commonly manufactured with sintering process. But the products also include fused cast brick, rebonded electrically fused brick, unburned brick and unshaped refractory bricks. High alumina refractory bricks are widely used Iron and Steel Industry, non-ferrous metals industry and other industries. 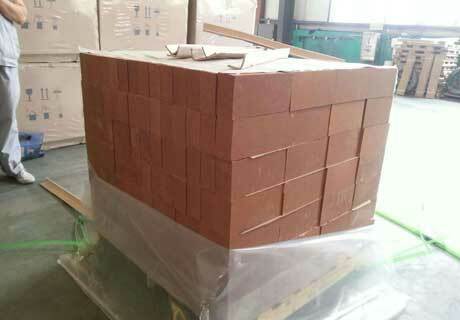 Corundum brick is made of corundum as the main phase with more than 90% Al2O3 content. It includes sintered corundum brick and electric smelting corundum brick. Alkaline Refractory Brick means the refractory products with alkaline oxide of MgO and CaO as the main component. Magnesian refractory Brick is made of chondrodite as the raw material and periclase as the principal crystalline phase with over 80~85% MgO content. Its products mainly include two types of fettling magnesite grain and magnesian products. There are varieties of metallurgical magnesite, common fettling magnesite grain, common magnesia brick, high-silica magnesite brick, magnesia alumina brick, magnesia-calcium brick, magnesia carbon brick and other products according to different chemical composition and application. Magnesian refractory Brick, the main product of alkaline refractory bricks, is a significant high refractory brick and has high refractoriness, good alkali and iron slag erosion resistance, which is mainly used in open-hearth furnace, oxygen converter, electric furnace and nonferrous metals smelting. Dolomite Brick, a kind of alkaline refractory bricks, is made of dolomite as the main raw material and is widely used for basic bessemer converter and lining of external refining ladle. Boltonite refractory brick is made of boltonite (2MgO·SiO2) as the main component and mainly used for checker bricks of regenerative chamber in open-hearth furnace, ingot casting bricks, bottom of heating furnace and copper smelting. Carbonic Refractory Brick is refractory product with different shaped carbon as the main component and made of carbon or carbon compound. Carbon Brick, neutral refractory product with high temperature resistance, is made of carbonaceous material as the main material and adding suitable binding agent. Carbon brick is widely used to build the bottom, hearth, bosh and restoration of lower stack of blast furnace for improving the continuous operation and increasing the service life of blast furnace. 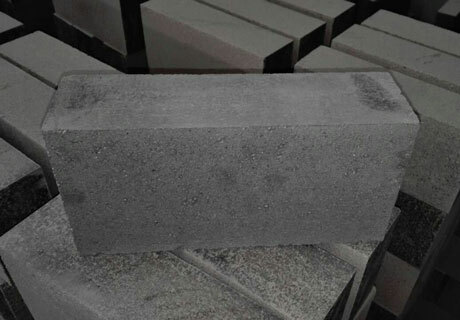 Moreover, Carbon brick also is widely used in the electrochemistry industry, chemical industry, petrochemical industry, electroplate industry, ferroalloy industrial furnace (or equipment lining), groove lining of acid& alkali liquor and pipeline, and furnace lining for smelting nonferrous metals. Plumbago refractory product is made of natural graphite as the raw material and fireclay as the binding agent. This kind products include plumbago clay pot, alembic, chock plug for casting steel, nozzle brick and ladle brick. 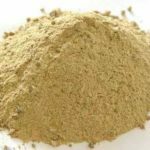 Among which, plumbago clay pot for steelmaking and smelting nonferrous metals is the most massively manufactured and used. Silicon carbide refractory product, a kind of high duty refractory, is made of silicon carbide as the raw material which good abrasive and corrosion resistance, great high-temperature strength, high thermal conductivity, low coefficient of linear expansion and good thermal shock resistance. It can be used for lining, nozzle, chock plug of molten steel ladle, bottom, bosh, launder of blast furnace, converter and tap hole of electric furnace, no water cooling slide rails of heating furnace and other areas in the iron and steel smelting industry. It is widely used for distiller, rectifying column, flank of electrolytic cell, molten metallic conduit, pump and smelting metal crucible and so on in the non-ferrous metal smelting industry. It is widely used as refractory slab and fire insulation material of all kinds of kilns such as muffle furnace lining and sagger and so on in the silicate industry. It is mostly used for oil gas generator, organic waste calcining furnace, petroleum gasifier and desulphurizing furnace in the chemical industry. Furthermore, it is also can be used for rocket nozzle and segment of blading of high temperature gas in the space technology. Zirconic Refractory Brick is a kind of acid material that made of natural zircon sand (ZrSiO2) as the raw material. Different with Silicon aluminum refractory brick and carbon brick, Zircon brick has good slag resistance, lower thermal expansion coefficient, thermal conductivity will be lower with the temperature rising, high refractoriness under load, strong abrasive resistance, good thermal shock resistance, which has become the important material used in all kinds of industrial fields. Zirconite refractory brick has been widely used with the development of continuous casting and vacuum degassing technology metallurgical industry. Zircon Brick adopts tap degassing in the steel-making process. Zircon refractory has good resistance to slag and molten steel erosion and is suitable to work at reduced pressure, which is widely used to build lining of molten steel ladle for degassing in the metallurgical industry, and also used for lining of stainless steel ladle and continuous casting ladle, casting nozzle brick, chock plug brick, sleeve brick and lining of high temperature electric induction furnace. Zircon refractory has high resistance to acid slag and glass and is widely used for the badly damaged position in the most active smelting vitreous of glass furnace. Zircon refractory also has the property of resisting aluminium metallicum, alumina and its slag erosion. Therefore, zircon refractory also plays good performance on the application in furnace bottom of aluminium metallurgy. AZS zirconia-corundum refractory brick has become the necessary refractory material for the key position in the glass furnace with the development of glass industry, which can resist vitreous humour erosion strongly. AZS resintering zirconia-corundum refractory brick is mainly used to build the bottom, wall and thermal storage checker brick of glass tank furnaces and other thermal equipment. Zirconia-mullite zirconia-corundum refractory brick has features of dense crystal structure, high refractoriness under load, good thermal shock resistance, high mechanical strength at normal temperature and high temperature, good abrasive resistance, good thermal conductivity and excellent slag erosion ability, which is widely used in metallurgical reheating furnace, soaking pit furnace, discharge hole of calcium carbide furnace and kiln wall of glass melter and so on. High Alumina Insulating Lightweight Refractory Brick is made of bauxite as the main raw material with over 48% Al2O3 content. It can adopt the manufacturing process of foam method or inclusion of combustible materials. 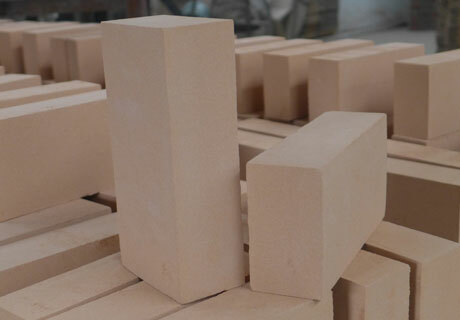 High alumina insulating lightweight refractory bricks can be used to build thermal-protective coating and position with erosion of melting in high temperature without intense high temperature. When directly contact with fire, The surface contact temperature of common high alumina insulating refractory brick should not higher than 1350℃. 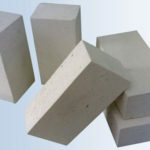 Mullite insulating refractory brick can contact with fire directly with features of high temperature resistance, high strength and remarkable energy-saving, and is suitable to used for linings of thermal decomposition furnace, hot blast stove, ceramic roller kiln, electroceramics drawer kiln and all kind resistance furnaces. Lightweight Insulating Fireclay Brick is made of fireclay as the main raw material with 30~48% Al2O3 content. It adopts manufacturing process of foam method or inclusion of combustible materials and is manufactured with fireclay, floating bead and fire-clay grog as the raw materials, adding binding agent and sawdust through burdening, mixing, molding, drying and firing. Its bulk density is 0.3~1.5g/cm3. The production of Fireclay insulating brick accounts over one half of the total production of refractory bricks. 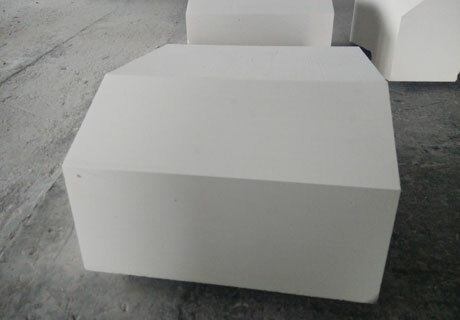 Diatomite Insulating Lightweight Refractory Brick is made of diatomite as the main raw material. It is main used for the protective insulation layer under the 900℃ temperature. Floating Bead Brick, a kind of quality insulating refractory products, is made of floating bead as the main raw material through semi-dry pressing. It has features of lightweight, thin, hollow, smooth surface, high temperature resistance, good insulating property.